We appreciate your feedback about your support experience with WooCommerce, developers of Follow-Ups. This helps us maintain high standards on the WooMarketplace, and helps WooCommerce improve. Do you always remember to send a personalized email to follow up with customers? Do you know who your best customers are and continuously nurture them towards an additional purchase or ensure happiness with their last one? Do you want to know when a student is falling behind or has not yet taken a quiz? Do you add new content and communicate this to your audience? Do you segment your mailing lists based on interest? If you answered no to any of the above questions, Follow-Ups will change your business for the better. The Direct Marketing Association reports that email marketing ROI is $43 for every dollar spent, making it the most effective marketing channel for driving sales. Social media is all the rage, and with Follow-Ups you are not left behind. It has yet to become the direct sales driver that emails are proven to be, but it is extremely powerful as a marketing tool. 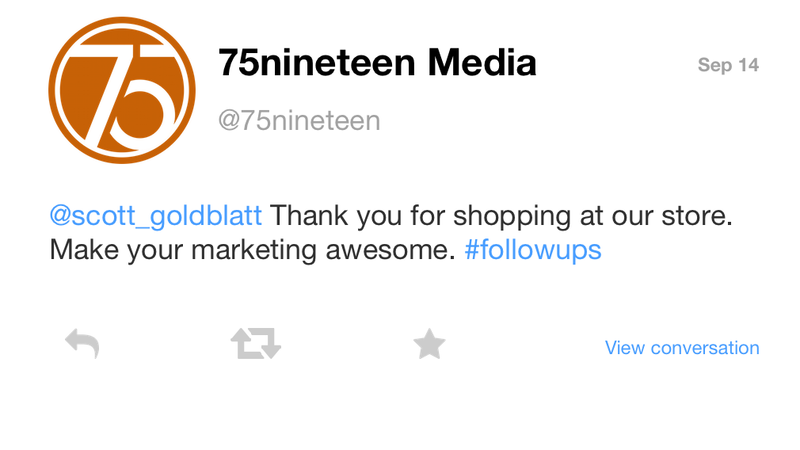 This is why Twitter follow-ups are integrated into this plugin. Follow-Ups will better engage your customers and students by creating complex drip campaigns based upon user interests, course and purchase history to drive more purchases and higher engagement, all with less effort across multiple marketing channels. 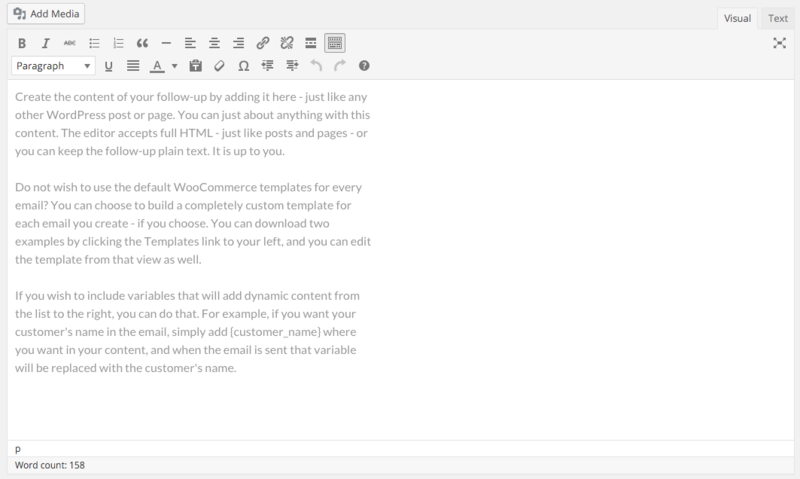 Follow-Ups uses the WordPress editor to create your emails, which means you do not need to learn anything new. Know how to write a post? You can write an email! Easily group your different tweets and emails together into easy to manage campaigns. Sending a reminder or follow-up via Twitter is as easy as scheduling an email. We’ve created a Twitter type to make it easy to keep your tweet length in check as well. 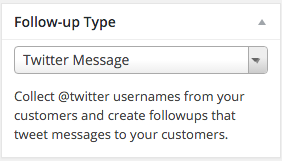 You can also use our included variables to personalize your tweets. Don’t limit yourself to simply knowing your email was sent. With Follow-Ups, you will get detailed reporting to help you understand the performance. Get a detailed picture of your customers and prospect. 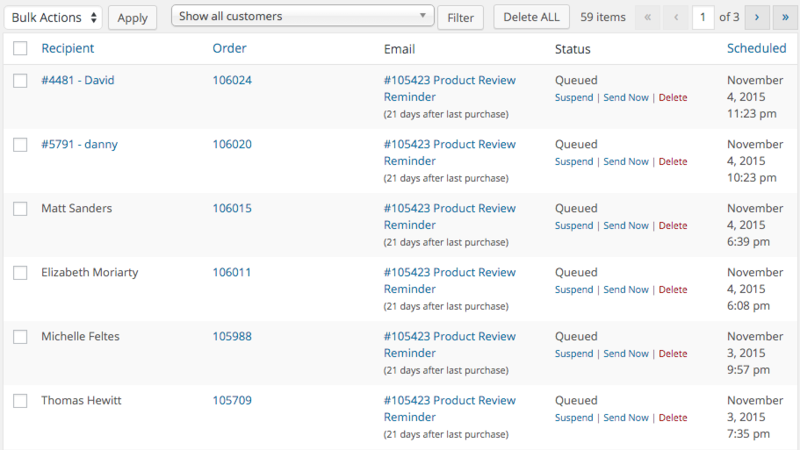 See the status of every email sent to a specific email address (customer). Know if they opened a specific email or, better yet, clicked. See the value of the customer by seeing a summary of their orders. Create reminders for yourself, your partners, or your employees to take action on that customer. Follow up Emails provides you with unprecedented insight into the schedule of communications. See everything that is scheduled in the future, and you can opt to suspend, delete, send now, or let it send as planned. Want to do more? Wish to integrate your own app Follow-Ups? Using the full-featured REST API that is included with Follow-Ups, you can integrate anything you want and utilize Follow Ups’ advanced scheduler and communications delivery vehicle. Communications don’t stop with just transactional based emails. Also build, cultivate and manage your mailing lists using Follow-Ups. Have a list elsewhere? Import it into Follow Ups. 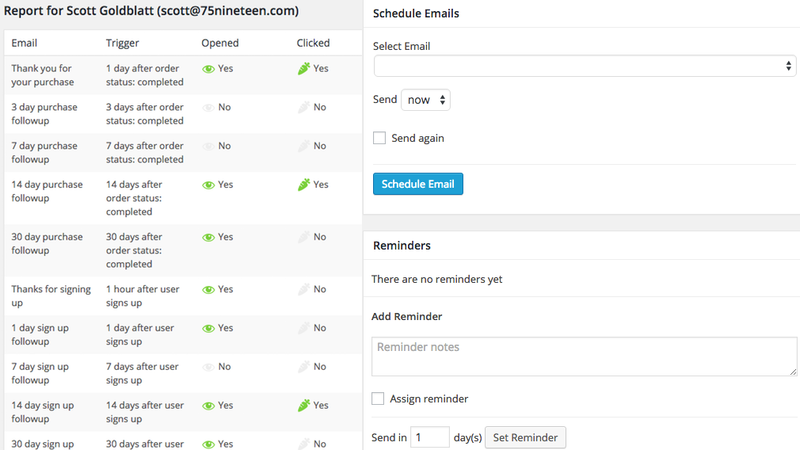 Add emails to multiple lists, schedule emails using the scheduler, and segment your lists to your heart’s content. Follow-Ups comes bundled with a number of free starter fully-responsive email templates, but its power lies in the built-in email editor that allows you to create your own email templates to match your store, brand, service, and/or campaign. The possibilities for customization are endless. 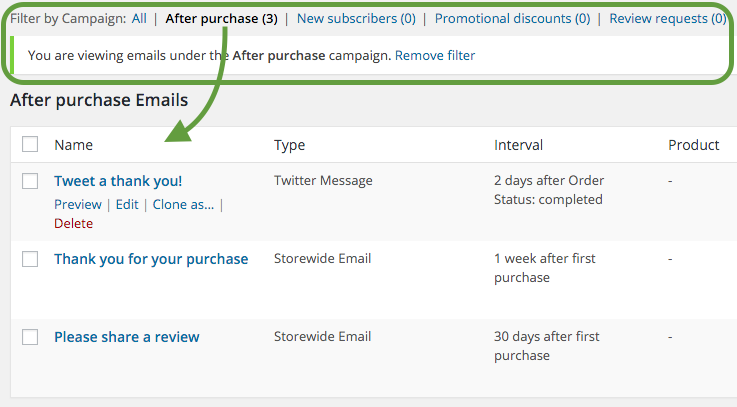 Everybody loves a discount – that’s why Follow-Ups allows you to create coupons that are personalized for your customer, or subscriber, automatically generating/creating/saving/reporting on that coupon for you. 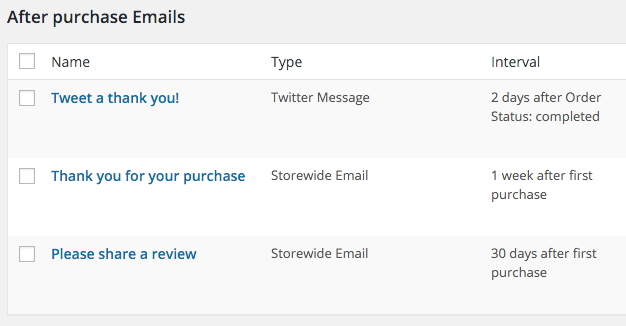 Creating a new coupon is simple, and integrating it into your email campaign is even easier. 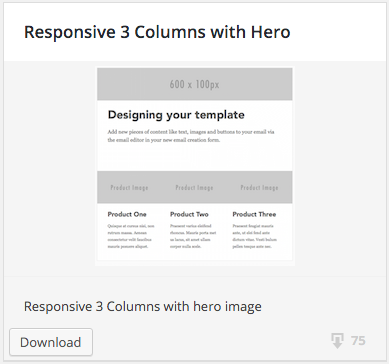 Create email templates and newsletters to send to as many of your customer segments as needed. Need to send a specific email to a single Mailing List? Want your employees to use a specific email template when communicating with customers? Follow-Ups can allow you to do that. In addition, every email sent is tracked for future use and reporting. 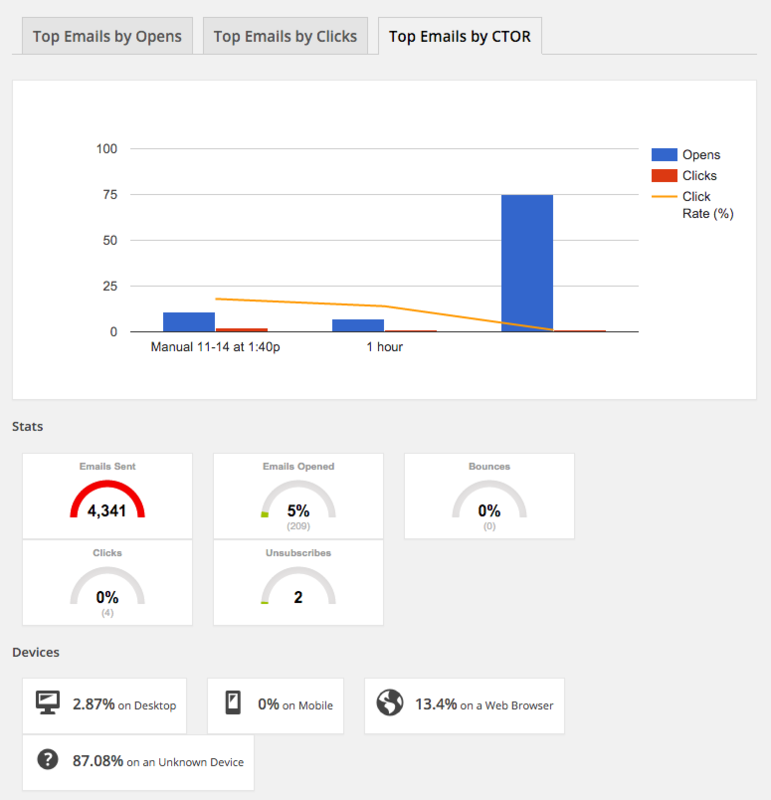 Easily append Google Analytics tracking values onto links in your emails, so that you can track email to purchase funnel using Google’s free analytics tools. Communicate quickly, efficiently, and automatically as your students progress through your educational and training programs. Send emails as your learners perform actions, answer questions, and finish lessons. Also, keep yourself in the loop by being notified of your lesson/class status. Follow-Ups are directly integrated with many of your favorite plugins and extensions, making it extremely easy to send emails and tweets no matter what plugins you are using – even if you do not have WooCommerce installed. In fact, using our API, you can integrate with any service – just install Follow-Ups and WordPress and you’re ready to go! Watch for your customers to start coming back and buying more! Want to test this extension? In order to test this extension for 30 days login to your account first, or create one. We will create a personal demo site for you, giving you free access to test this extension for 30 days.